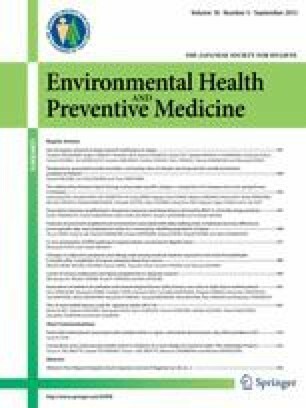 Suicide is a notable cause of death worldwide, and while suicidal behavior appears to be associated with variations in temperature, no estimations are available of climate change impacts on suicide rates. The study aims to evaluate the influence of temperature on suicide mortality, especially on multi-decadal and longer time scales, that is, at scales on which the ongoing warming distinctly operates and is correspondingly appropriate for the current policy responses to warming climate. Our results are based on an extraordinarily long record of deaths from suicide in Finland from 1751 to 2008, and a similarly long climatic record of ambient temperatures correlative of environmental change in the study region. We show that temperature variability explains more than 60 % of the total suicide variance up until the initiation of a national suicide prevention program. Despite ongoing warming, suicide rates have declined since the initiation of the program. By understanding the complexity of suicidal behavior as a response to ambient warming and the observed effects of interventions, our results underline the pressing need for a network of prevention programs to battle against temperature-mediated health hazards. The online version of this article (doi: 10.1007/s12199-013-0329-7) contains supplementary material, which is available to authorized users. Since the time of Hippocrates it has been recognized that climate can deeply impact on health. Today this recognition is leading to a growing interest in assessing the potential influences of climate change on human health at global, national and local levels. Indeed, many prevalent diseases and health problems have been associated with climate-related fluctuations [1, 2, 3]. Relatively little evidence, however, has linked climatic warming with mental disorders and even less is known about the potential linkages between regional warming owing possibly to climatic change  and suicides. This was exposed in a literature review of quantitative analyses for the linkages between climate or weather and suicidal behavior . Among 27 studies, ten found positive whereas four identified negative temperature associations. While a higher incidence of suicidal acts was found occurring on warm and sunny days in nine studies, six studies exhibited contradictory indications. The review  showed that our knowledge on the influence of climate and weather on suicidal behavior is still far from conclusive and in part contradictory. Self-defeating behavior is a major public health problem across the world. Suicide is the tenth leading worldwide cause of deaths  insomuch that every 40 s one of us takes his or her own life. Nevertheless, the suicide rates are not temporally stable but show trends and variations of shorter term [6, 7]. Suicide and its prevention are receiving increasing worldwide attention . Alarmingly high suicide rates in Finland during the 1970s and 1980s evoked a parliamentary committee on suicide, leading to a national suicide prevention program including a nationwide research phase during 1986–1991 followed by a nationwide implementation phase during 1992–1996 . After 2 years of preliminary preparation, the program was started with a 1-year study of all the deaths from suicide in Finland, involving extensive data collection of all available information including both the medicolegal autopsy and the so-called psychological autopsy on each case. At the end of the research phase, the national suicide prevention target and action strategy was based on the data, published and distributed throughout Finland  (see http://www.stakes.fi/verkkojulkaisut/muut/mu161.pdf). Thus, the suicide prevention program was targeted at people with depression, substance use problems, in crisis situations or in need of psychological support due to physical illnesses and who had attempted suicide . This combination of suicide research and prevention that was extended to the whole country was the first comprehensive effort of its kind . The aim of this study was to statistically examine the extraordinarily long national suicide record of Finland since the mid-18th century, in order to provide a comprehensive assessment of both temperature changes and suicides in a country with high suicide mortality rates through age groups  and where temperatures are rising [13, 14]. This setting was further privileged by a correspondingly long climate record in the region [15, 16]. We attempted to predict the impact of the prevention program on the suicide count by a simulation model under the association of the climatic influence on suicide mortality. Given the longtime role of climatic change , our analyses operate on decadal and longer scales. Understanding the compound response of suicidal behavior to ambient warming and intervention provides insights into therapeutic implications of prevention programs on the verge of 21st century climatic change. Suicides have been registered by authorities in Finland since 1751  (see Supplementary material, Table S1). A limitation of the data is that it provides annual figures and that the intra-annual (monthly) information is available only for irregular intervals (1851–1860, 1878–1935 and 1969 onwards). These data have been gathered by statistical authorities in Finland using the information from parish registers . A death certificate written by a doctor became compulsory throughout the country in 1936, although a notification of death written by a layman could also be accepted if a doctor’s certificate proved unreasonably difficult to obtain. It is known that by 1936 nearly 90 % (88.4 %) of all certificates were based on certificates by doctors . After World War II, the situation was improved and between the years 1946 and 1950, the rate of death certificates was 94.5 % and during the early 1950s virtually all (99.4 %) deaths were certified by doctors [19, 20]. Since 1987, death certificate forms in Finland have complied with the recommendations of the World Health Organization’s International Classification of Diseases . The proportion of medicolegal investigations for suicide cases has been stable for many decades , and the overall autopsy rate has remained relatively high, both of which allow for reliable conclusions on suicide trends over time. The construction of the suicide time-series since 1751 is detailed in Holopainen et al. . It follows that in this study, the suicide deaths are those that have been specified as such in the death certificates. Reliability of the data has supposedly improved since 1936, and especially since the 1950s. Early climatic observations provided counterparts for the suicide data. We used the Uppsala temperature record because it is the longest continuous and homogenized temperature record in the geographical region of interest . This temperature variability is highly correlative to the regional temperature variability over the entire study region and was used here as temperature. Correlations with the temperature record of Uppsala with temperatures in southern and northern Finland were as high as 0.942 (p < 0.01) and 0.782 (p < 0.01) as calculated for the shorter station records  of Helsinki (1890–2002) and Sodankylä (1908–2002), respectively. Moreover, the comparison between the long temperature history of Uppsala and the temperature record over the entire study region (70–60°N, 20–30°E) as extracted from the global dataset  shows a coefficient of 0.908 (p < 0.01) between the years 1850 and 2005 (see Supplementary material, l, Fig. S1). The suicide counts were translated into suicide rates (per 100,000 persons) and the variance was stabilized using an established method . The series was detrended using a stiff cubic spline that equals 67 % of the series length . Departures from the spline were accepted as residuals from the curve and normalized to z-scores having a mean of zero and a standard deviation of one. The Jarque–Bera statistic  was used to test the normal distribution of the data. The examined data were autocorrelated, and therefore the determinations of Pearson correlation coefficients were accompanied by their two-tailed significance levels, generated by using a Monte Carlo method  with a number of 10,000 (if not otherwise mentioned) surrogate series. This method  was applied also to estimate the confidence intervals (95 %) for the regression of overall suicide on temperature, based on the frequency-structure of the residuals from a linear regression, calculated by Monte Carlo simulations. The model was built using the pre-program interval (segmented as 1751–1765, 1766–1780 … 1976–1990) and was used to predict the temperature-dependent suicide rate for the segment 1991–2005 of the prevention program. Making use of the 15-year periods served as a convenient analysis resolution over both the prevention program and pre-program intervals. The codes for calculations were adopted from a Monte Carlo methodology [28, 29] and are available at http://www.helsinki.fi/science/dendro/reconstats.html. In seeking to provide a comprehensive assessment of both temperature changes and suicides, we use the extraordinarily long suicide  and temperature  records of the region, which span the past 26 decades (1751–2008). These data record a total of 94,356 deaths from suicide over the 258-year period. During the 18th and 19th centuries, the suicide rates remained below 10 (Fig. 1a). Thereafter, the rate exhibits increase with transient high values during the 1930s, whereas the next decade is characterized by relatively low rates. Since the early 1950s, the suicide rates have been rising consistently for both sexes, and the rates culminate in a peak overall suicide rate of 30 in 1990. After that year, the suicide rates (both male and female) have been declining, this notable decrease in suicides overlapping temporally with the national suicide prevention program in Finland. Generally, the same features are observed in the data of suicide rates after variance stabilization and removal of the long-term trend and the series are presented as z-scores (Fig. 1b). Positive correlations can be found between annual temperatures and suicide rates since 1751 (Supplementary material, Table S2). The climatic correlations are positive over pre-1936 and post-1936 sub-periods when the death certificates were predominantly written by a layman and a doctor, respectively (Table S2). It was also found that the climatic correlations were slightly higher over the early (1751–1936) rather than the late period (1936–1990) (Table S2). Moreover, the long-term variations in temperatures can consequently be linked with suicide rates up until the initiation of the prevention program (Fig. 2). This positive association indicates that the period of higher suicide rate has coincided with the period of warmer temperatures in the study region. However, this correlation remains high and statistically significant only until the national suicide prevention program started in 1990. Since that year, the temperatures have warmed notably (this temperature departure from the long-term mean level exceeding three standard deviations; see Fig. 2), but the suicide rates have dropped. Further examination of the data show that the temperature correlations improve when the comparison is carried out over longer time-scales (Fig. 3). The overall suicide rate and temperatures correlate with a coefficient of nearly 0.8 (Fig. 3). This translates into an estimate that the temperature variations could explain a surprising 60 % of suicide variance before 1990. We next use the previously defined relationships between suicides and temperatures (Fig. 2) to predict a hypothetical temperature-mediated suicide rate since the initiation of the prevention program. The established warming ought to have increased the temperature-mediated suicide rate since 1991, but the suicide rate actually declined over the same period (Fig. 4). The average rate during the program was 24.3 suicides per 100,000 persons (1991–2005). This value was notably less than the suicide rate of 32.6 predicted by the temperature-dependent model. That is, the post-1990 period was anomalous with respect to the association defined by the previous 240 years. The association between the temperatures and suicide rates, evident since the mid-eighteenth century, broke down during the prevention program. These multi-decadal associations show that a temperature trend of similar or longer duration can have a profound influence on the suicide rates in a region where the modern rate has been relatively high. It is crucial to note that climates that cover large areas are fluctuating on similar multi-decadal scales as recorded in the past [30, 31] and as predicted for the future . The spatiotemporal coherence of the associations increases the value of our findings, as it could be speculated that present-day warming may alter the suicidal behavior in a manner similar to that of previous natural temperature changes. Our data was given at an annual resolution and thus the seasonality, which is often discussed in the suicide literature [33, 34, 35], was beyond the scope of the analysis. Bearing in mind that climate refers to long-term weather statistics , the aim of this paper was not to analyze suicide mortality in the context of weather, but rather climate and long-term climatic evolution. Previous studies [37, 38, 39] have shown that the variations in the suicide rates could be statistically correlated with selected climate variables on varying spatial and temporal scales . However, a literature review showed that our understanding of the climatic influence on suicidal behavior is still far from conclusive and in part contradictory . One reason for remaining uncertainties could be the lack of socio-economic parameters in the analyses . A statistical model taking into account socio-economic parameters, in addition to climate, could be theorized to provide a more detailed understanding. Suicide datasets often come with temporal limitations as the series of suicide data are short relative to the climatic records. It may be that the assessments have remained conflicting, due probably to temporal limitations of the datasets. Our analyses provide evidence of principal importance and demonstrate the potential of temperature-mediated influence on suicidal behavior, thus confirming the findings of those studies showing that the temperature-suicide linkage might be widespread over national and cultural borders. A caveat in this respect is that we were unable to examine which types of suicides are associated with annual temperature. Also, the spatial representation of the results in the context of sub-regions within the country remained unspecified because of data limitations. It follows that our analyses thus provide an estimate for the total number of suicides in the country. Regarding the data limitations, it was possible to evaluate the results over the periods when the death certificates were predominantly written by laymen (before 1936) and doctors (since 1936). Doing so, it was seen that the correlations between the annual temperature and suicide rates were higher for the early sub-period when the death certificates were mostly written by a layman, rather than a doctor. This could indicate that the climatic associations derived in this study were not distorted by the issue of death certificates. Thus, the temporal privileges of our datasets [16, 17] enabled assessments at scales on which the ongoing warming distinctly operates and is correspondingly appropriate for policy responses to climate change. Psychological autopsy studies have demonstrated that major depressive episodes contribute substantially to deaths from suicide . In Hungary a depression-management educational program for general practitioners resulted in a significant decrease in suicide rates . Although the annual suicide rate in Finland has decreased by 40 % between 1990 and 2005 , we report here that suicide rates would have been expected to actually rise along with the climatic warming seen over the same period. During the period of 1991–2005, the annual sum of observed suicides averaged 1,248, whereas the modeled suicide rate of 32.6 per 100,000 persons over the same period translates into an annual estimate of 1,678 suicides (with a 95 % confidence range of 1,485–1,882 cases). The intervention could thus have resulted in a decrease of 240–630 suicides per year, given the multi-decadal temperature forcing on suicide mortality. While the program in Finland was the first comprehensive effort of its kind anywhere , our results underscore the favorability of implementing intervention programs elsewhere. Below we propose a hypothesis which links temperature-mediated deaths from suicide to temperature-responsive brown adipose tissue (BAT) over-activity. To begin with, we want to acknowledge that it presents one potential mechanism by which a longer-term ambient temperature gradient may influence mood-related behaviors within a population, and that other plausible mechanisms are likely to exist as well. Our hypothesis herein suggests that the activation of BAT improves cold tolerance at the cost of heat tolerance, triggering anxiety and psychomotor agitation, and in the end affects mood in a negative way. We hypothesize that it is the compromised heat tolerance that predisposes to death from suicide. We give the following arguments in support of the hypothesis. First, BAT is present and metabolically active in adults [43, 44] and is overactive in suicides associated with a depressive episode . Second, once BAT has become metabolically active through temperature changes, it is more resistant to becoming quiescent  and may thereby contribute to the risk of suicide over a prolonged period. Third, BAT has physiological relevance in the majority of adult humans , and it seems that environmental (e.g. outdoor work) or lifestyle (e.g. alcohol abuse) factors clearly contribute to activation of BAT  and, if not paid attention to, these factors may easily over-activate BAT. In addition, BAT appears to be temporarily reactivated for heat production in compensation to the ageing-driven lowering of basal metabolic rate in the sixth decade of life . It is of note that the suicide mortality peaks in Finland in both men and women are at the age of 45–59 years. Finally, a view that climatic factors, such as temperature and humidity, have a role in determining species distributions and influence phenotypic variation of populations over geographic space has gained support from population genetics. The genetic basis for adaptation to climate-mediated selection was elucidated in a scan of the human genome using 61 worldwide populations . Among the strongest signals were genes that play roles in heat and cold tolerance, and there was an enrichment of strong correlations with climate variables for two sets of genes: first, genes that are differentially regulated in response to ultraviolet radiation, and second, genes that are central in the differentiation of brown adipocytes. These findings suggest that BAT is relevant to natural selection and therefore that disrupted BAT activity may influence adaptation and subsequently survival. To further formulate our hypothesis we envisage a mechanism in which climatic warming favors the growth and maturation of BAT, i.e. triggers adult stem cells readily to initiate asymmetric division and give rise to transit amplifying cells. This mechanism is similar to the one described by Hazlerigg and Lincoln , with the exception that the effect of climatic warming is sustained, not cyclical, in nature. We propose that climatic warming incubates the reservoir of preadipocytes of the individual, leading to an increase in the proportion of individuals with inducible cells to differentiate into mature brown adipocytes. In the course of time, the proportions of those with activated BAT and those with over-activated BAT increase. Subsequently, an increasing proportion of the affected, i.e. those with the over-activated BAT, is predisposed to and at risk of suicide, and it is by this mechanism, unless preventive actions are taken, that climatic warming leads to an increase in suicide mortality within a population. Currently, it cannot be ruled out that the central sensory circuits projecting from BAT to the brain [52, 53] might provide a pathway, through the ventromedial hypothalamus  to the periaqueductal gray areas [55, 56] that are key regions involved in anxiety [57, 58], which we hypothesize to mediate the effect of over-activated BAT in those affected. However, the over-activated BAT is tightly involved in abnormalities in the thermoregulatory mechanisms that characterize individuals prone to depressive episodes [59, 60, 61, 62]. Temperature histories evidence long-term climatic trends and variations of shorter. These fluctuations may either be natural [30, 31] or anthropogenic . Climate change will affect human health in many ways, but mostly in adverse ways [1, 2, 3]. Our results show the coherence of temperature-mediated deaths from suicide in a multi-centurial context. It could be reasoned that present-day warming influences suicidal behavior in a manner similar to that of previous natural temperature changes. Nevertheless, intervention resulted in a decrease in suicides, the results underscoring the favorability of implementing prevention programs. Man-made climate change may be irreversible for the forthcoming millennium , whereas the climate-related increase in suicides may be reversible. We thank two anonymous reviewers for their comments on the earlier version of the manuscript, Tauno Tyllinen, Irmeli Penttilä and Sigmund Hov Moen for help during data compilation, and the Academy of Finland (122033, 217724) and Koneen Säätiö for funding.